Add Sandy Hook as an interest to stay up to date on the latest Sandy Hook news, video, and analysis from ABC News. The body of Richman, 49, was found at Edmond Town Hall in Newtown, where his foundation had an office, authorities said. Jeremy Richman looks at a picture of his daughter, Avielle Richman, on his computer screen as he gives a lecture via Skype on behalf of the Avielle Foundation from his Newtown, Conn. home, Oct. 30, 2013. Richman appeared last year on ABC News' "10% Happier" podcast, telling host Dan Harris that losing Avielle was "infinite heartbreak." "She could light up a room with her smile, her giggle," he said. Avielle had a strong sense of justice and was a "free spirit," Richman said. "She would narrate her whole morning in this ongoing song ... I really miss that." "Fully understanding forever -- you will never see her again, you will never hold her ... that's with me in my mind always," he said, adding that over time "that feeling of sadness has definitely waned." 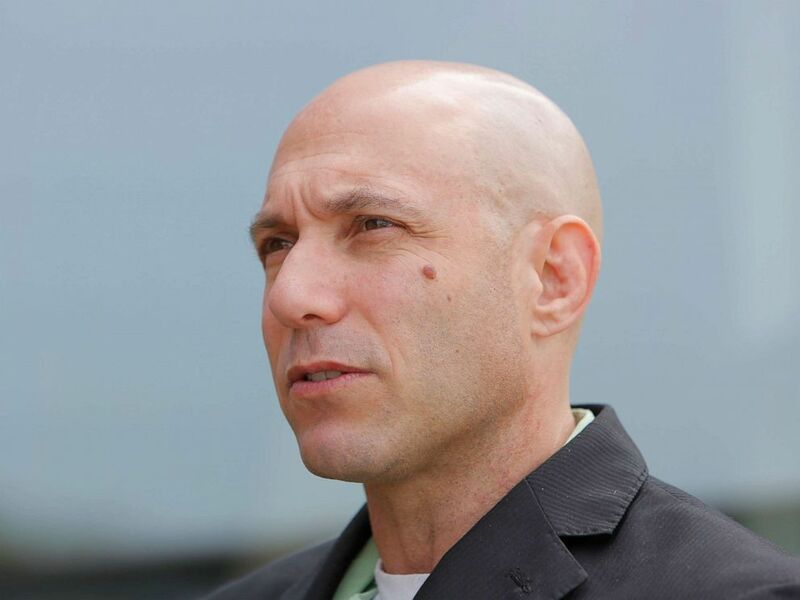 After his daughter's murder, Richman, a neuro-pharmacologist, founded The Avielle Foundation, a nonprofit "to study the neuroscience, the underpinnings of violence and the risk factors," he told "10% Happier." 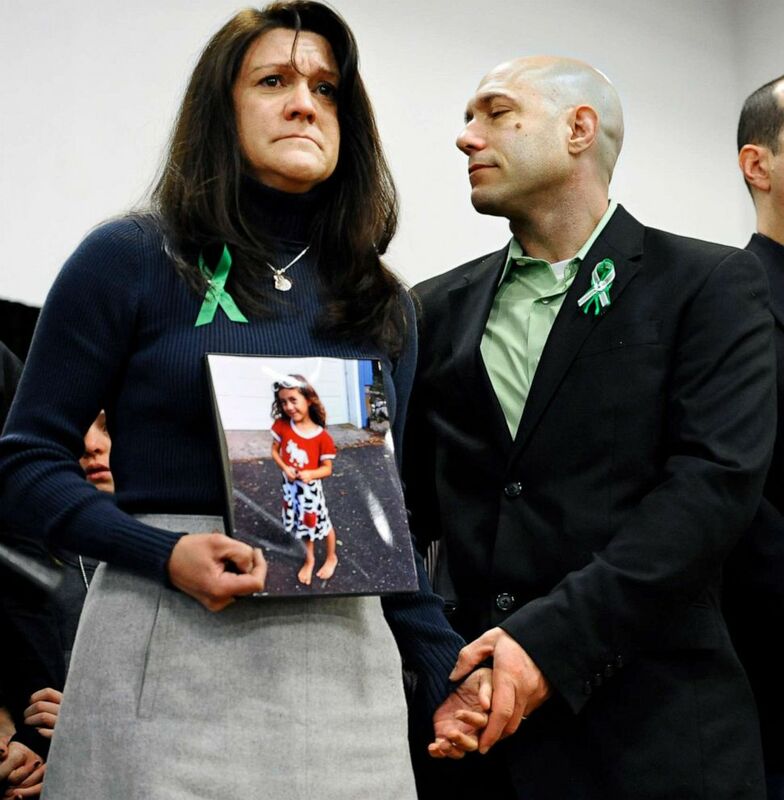 Jennifer Hensel and Jeremy Richman, parents of Sandy Hook School shooting victim Avielle Rose Richman, listen at a news conference at Edmond Town Hall in Newtown, Conn., Jan. 14, 2013. "We wanted to prevent others from suffering the way that we were suffering," he said. "If there's a hope that we can get somebody help before it's another tragedy, then that would be everything." "I suspect I would be bitter and frustrated and lacking a lot of purpose if I didn't do this," he said of the foundation. "Jeremy was a good friend," Sen. Chris Murphy, D-Conn., told ABC News Monday. "He was someone so committed to understanding why these tragedies happen and why brains push people to acts of violence." 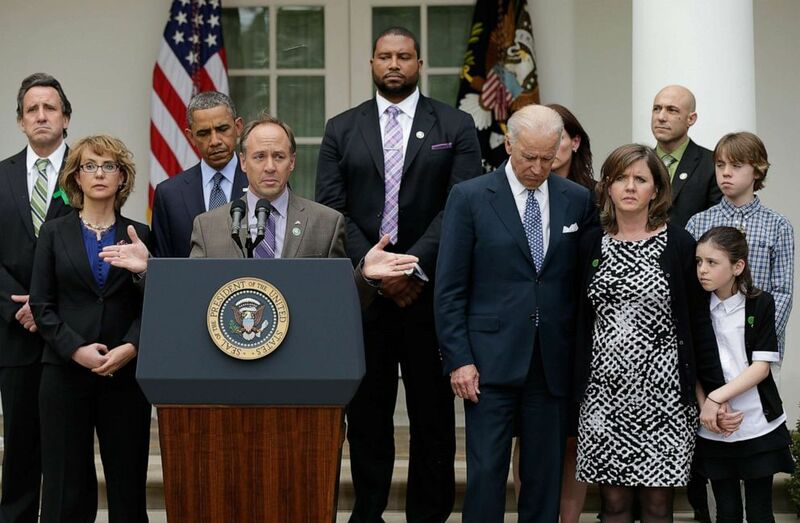 Jeremy Richman, top right, listens as Mark Barden joins U.S. President Barack Obama and Vice President Joe Biden in making a statement on gun violence in the Rose Garden of the White House on April 17, 2013, in Washington. Murphy said Richman was at his office a few weeks ago and appeared "so excited about the work the foundation was doing and their ability to get their training program -- teaching about the way that the brain works and the way that it can fail to work properly -- to more and more people." "It seemed like the future was limitless for the kind of work The Avielle Foundation could do," Murphy said. He continued, "Every single time somebody commits suicide you can't understand it. But in this case, Jeremy spent his entire life trying to help people identify the warning signs of harm. And it tells you how complicated the brain is, that even Jeremy couldn't figure out a way to get himself the help that he needed." Jeremy Richman talks with students and faculty at the University of New England on Aug. 12, 2014. Police did not provide any additional details surrounding Richman's death beyond describing it as an apparent suicide. An autopsy is expected to be performed Monday, police said. We are crushed to pieces, but this important work will continue, because, as Jeremy would say, we have to. Richman and his wife, Jennifer Hensel, went on to have two more children -- a girl and a boy -- after Avielle's death. "Our hearts are shattered and our heads are struggling to comprehend," The Avielle Foundation said in a statement. "Tragically, his death speaks to how insidious and formidable a challenge brain health can be and how critical it is for all of us to seek help for ourselves, our loved ones and anyone who we suspect may be in need." "Jeremy’s mission will be carried on by the many who love him, including many who share the heartache and trauma that he has suffered since Dec.14, 2012," the statement continued. "We are crushed to pieces, but this important work will continue, because, as Jeremy would say, we have to." Richman's death comes just days after what police say was the apparent suicides of two Parkland, Florida, area teenagers. Connecticut Gov. Ned Lamont tweeted that he's "heartbroken for the Richman family." "Thoughts and prayers just don't feel like enough in times like these," he wrote. "Words cannot even begin to express our sorrow." Annie and I are heartbroken for the Richman family. Thoughts and prayers just don't feel like enough in times like these. Words cannot even begin to express our sorrow. ABC News' Ben Stein and Rachel Katz contributed to this report.